Joe Hart is an English professional footballer, born on 19 April 1987 in Shrewsbury, England. He is a goalkeeper and plays on loan for English club West Ham United. Joe Hart has great ability to distribute the ball from goal kicks, he is also known for coming off the line and rushing to make saves. However Hart has falls short in corner kick catches and may concede a goal due to his lapse of concentration. Joe Hart started his career by playing football for home club Shrewsbury Town in The National League and EFL League Two. At the age of 17, Hart made his first senior team appearance on 20 April 2004 for Shrewsbury Town against Gravesend & Northfleet. On 1 June 2008 Hart made his England debut against Trinidad and Tobago under the managership of Fabio Capello in Spain. Hart played 54 matches for his home club Shrewsbury, he did not have many cleans sheets to show off but his personal performances were quite eye catching. He showed glimpses of a top keeper and had the zeil to go the distance. It was no surprise that Hart caught the attention of many premier league clubs. Eventually in 2006 Hart completed a move to Manchester City, but his spot in the team was not permanent. Hart was sent out on loan to Tranmere Rovers and Blackpool in the year 2007. He made 6 appearances for Rovers and 5 for Blackpool in his time there. After returning to City, Hart was had a brief period where he was the main keeper in the side, however Italian goalkeeper Shay Given was chosen for the number one spot in the 2008-09 season. Hart needed game time and so he was loaned off to Birmingham City for the 2009-10 season. He had a slow start to his campaign but showed brilliant performances later in the season. He was named in the PFA team of the year. Joe Hart was given a chance to prove himself against Spurs when he returned to City, he took the opportunity and performed well taking the man of the match award as well. He became the first choice keeper for the English side. Hart helped City in the FA Cup semis and the finals and won the competition. The Premier League Golden Glove award for the season 2010-11 was given to Hart due to his excellent performance and 18 clean sheets. He won the 2011-12 golden glove award as well and contributed hugely in the successful title race of City that season. Hart’s famous Champion League penalty save against world’s greatest player Messi was one of the best moments of his career. Messi praised Hart for his impeccable performance in the round of 16 draw against Barcelona. The Englishman decided to move to italian club Torino for the 2016-17 season. He played 36 matches for the side. 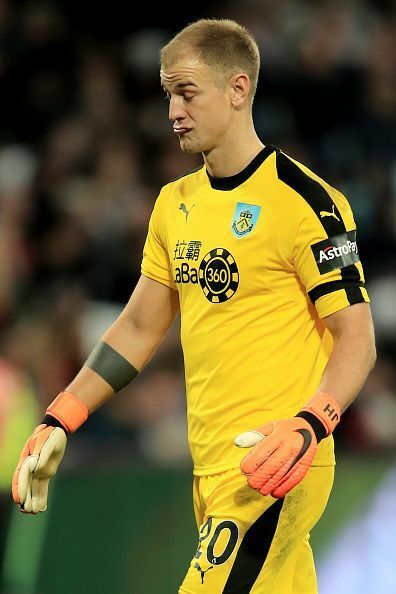 In 2017, Hart decided to return to the premier league and joined West Ham United on loan. He has already appeared in 17 games for the English club. Hart was a part of UEFA Euro 2012 England team, he helped them greatly to reach the later stages of the tournament. Hart was also a part of FIFA World Cup in 2014. However England did not go very far into the tournament. On 13 November 2014, Hart captained England against Spain as Rooney was not playing, however he faced a 2-0 defeat. Joe Hart’s form dropped drastically in the 2012-13 season. He was no longer the first choice keeper of City but later regained his spot in December 2013. Man City's Final Team Before The Sheikh Mansour Takeover: Where Are They Now? Are Crystal Palace gaining momentum under Roy Hodgson?